When I was growing up in the North Eastern part of the United States, my friends would always marvel at my mother's Audi A4 convertible when it plowed through the very same snow flummoxing most SUVs and crossovers. This was my first introduction to Audi's magical Quattro all-wheel-drive system, which can easily defeat mother nature and her treacherous icy weather. So when the time came to fly up to Detroit for the North American International Auto Show, there was one company I knew I could trust to survive the torn up, snow-covered roads. Audi graciously loaned me a 2019 A6 to test during my stay in Detroit and subsequent road trip in Chicago, where I learned just how easily the Quattro system can conquer the icy weather. We always like to point out how styling is subjective, though we fail to find many faults with the A6. The design is handsome, if not a bit vanilla. When , we were a bit disappointed to see it wasn't much of a departure from the outgoing car. With the A6's sister car, the A7 Sportback, which has created plenty of split opinions. Unlike the A7, the A6 is happy to blend in amongst other mid-size luxury sedans, especially when painted in Glacier White Metallic like our tester. Audi suffers from 'Russian Doll' syndrome, where its . For better or worse, it is difficult to tell the A6 apart from its larger A8 and smaller A4 siblings. We suspect future models will be better differentiated, as this is a long-held criticism of the German carmaker's designs. Although the A6 may have only received an evolutionary redesign on the exterior, it received a significant upgrade under the hood. The 3.0-liter supercharged V6 is gone in favor of a new 3.0-liter turbocharged V6 producing 335 horsepower and 369 lb-ft of torque (which is up by 44 lb-ft compared to the outgoing car). The new car's torque advantage comes from a 48V mild hybrid system, which can provide electric assist and generate power for the stop/start system. I often hate start/stop systems in cars but this was among the best I have ever tested. With the mild hybrid system, the engine can shut off before the car is at a complete stop and restart with absolute smoothness. Not only is the engine new, but it is now mated to a seven-speed S Tronic dual-clutch transmission rather than a traditional torque converter automatic. Audi says this transmission was used to provide the "best combination of performance, efficiency, and responsiveness." The move clearly paid off because fuel economy has been improved from the outgoing car - the 2019 A6 is rated at 22/29/25 mpg city/highway/combined. I actually bested these figures with an observed 31.6 mpg on the highway. What's even more impressive, Audi has managed to improve fuel economy without hurting straight line performance. The A6 accelerates with the utmost delicacy, never needing to exert too much effort in order to overtake another car in traffic. If you care, the sprint to 60 mph takes around 5.1 seconds, which is actually quicker than the old V10-powered S6. Audi will also offer a 2.0-liter four-cylinder version of the A6 with front-wheel-drive but this V6 model with AWD is the only available option for now. For speed-seeking enthusiasts, there will also be a faster S6 model and we've heard rumors that the high-performance . Audi's extensive overhaul of the A6 continues inside where the old knob-centric MMI interface has been thrown away in favor of an all-touchscreen interface. This new system is called MMI (multi-media interface) Touch Response and it uses two touchscreens to control infotainment and climate controls. A lack of buttons can often feel distracting because it's harder to tell whether or not your finger has landed on the correct spot on the screen. Audi has mitigated a lot of this difficulty by adding a vibrating sensation whenever you tap the screen. Unlike a smartphone, you have to press the screen with more pressure in order to trigger it, so you won't accidentally tap on the wrong area when you go over a bump. The A6 also uses an oddly-shaped electric shift knob, which has been designed to use as a handrest when you change the climate controls. If you don't fancy using the touchscreen to control the car, Audi also includes intuitive voice command which works as well as the best smartphones. The system understands basic speech, so you can simply tell it "I'm cold" in order to raise the temperature. Using the voice command made me feel a bit like Iron Man talking to the AI system in his suit - but we could easily see this A6 being his daily driver. Our tester model included the Premium Plus Package ($3,800), which bundles in Audi's outstanding virtual cockpit. Virtual cockpit replaces traditional gauges with a massive screen, which can brilliantly display information and become a full-screen map. Even though BMW and Mercedes have recently started making virtual gauges of their own, Audi remains the best-looking and most usable system. The only disadvantage here is that Touch MMI tends to lock out certain functions while the vehicle is in motion, so you'll have to rely on voice control. The rest of the interior features nice materials, though Audi went with a simplistic design. The BMW 5 Series looks sportier while the E-Class feels more elegant - the Audi feels like a nice middle point. Our only complaint was a lack of a storage area in the center console. If you have two drinks taking up the cup holders, there is nowhere else accessible to put your phone. The back seat offers an adequate 37.4-inches of leg room and is more than suitable for two adults - the middle seat occupant won't be quite as happy. As you'd expect, those rear seats fold down to expand the car's fairly generous 13.7 cubic feet of trunk space. If you need more storage space but don't want to step up to an SUV, the A7 Sportback offers 24.9 cubic feet of storage behind the second row. Over the torn up roads in Detroit and Chicago, I discovered the A6's best attribute - ride comfort. The A6 is smooth, almost unbelievably so. My tester was equipped with a $1,050 Sport package with 20-inch wheels and a sport suspension, which didn't prevent the car from providing an excellent ride over rough pavement. I can only imagine how smooth the A6 is when the standard suspension and smaller wheels. If you are looking for the most comfortable German car in the mid-size segment, look no further. Sadly, the A6's ride does come at the expense of driving enjoyment. Unlike its rivals from BMW and Mercedes, the Audi just doesn't provide any level of excitement when driven quickly. The turbocharged V6 doesn't sound as good as the old supercharged motor and the dual-clutch transmission has been tuned to shift smoothly rather than quickly. If you are the type of person who frequently engages sport mode the A6 may not be right for you. While I was in Chicago, I had a chance to test the A6 in the snow. As expected the Quattro AWD system functioned perfectly on all-season tires. While other cars were sliding off the road, the A6 remained utterly composed. I didn't experience any technical issues during my week with the A6 but I have to mention a potential issue I discovered with Audi's new key fob. Not all new Audi models use this key fob, so it may only be an issue on the A6 and possibly the A7 as well. When the key was left in my pocket, I came out to a car with the trunk open on multiple occasions. I tried putting the key in a different pocket to prevent the trunk release button from being pressed but the issue persisted during the week. If you have something valuable in the trunk - as I did with my computer and camera equipment - this could be a worrying issue. 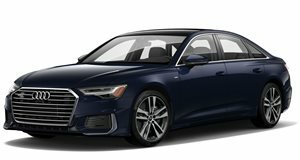 The 2019 A6 starts at $58,900 for the base Premium model with the V6 and Quattro AWD. Audi now calls this engine the 3.0T or the 55 TFSI. Our tester was a Premium Plus model, which starts at $62,700 and includes a larger Touch MMI screen with virtual cockpit, Bang and Olufsen 3D sound system (which sounds excellent but is the lesser of two B&O systems), advanced keyless entry, side assist with rear cross-traffic alert, power-folding mirrors, matrix LED headlights, and a 360-degree camera. This test model was also equipped with a $2,750 driver assistance package with adaptive cruise control, active lane change assist with blind spot monitoring, and traffic sign recognition, a $1,800 warm weather package, a $600 cold weather package, and a $1,050 Sport package, bringing the as-test price up to $70,490. Stepping up to the highest Prestige trim for $67,100 adds ventilated seats, four-zone automatic climate control, and soft-close doors. We highly recommend the individual contour seating package for $3,200 (not found on our tester), which adds seat massage and ventilation and extended leather in the cabin. The A6 both impresses and disappoints depending on your point of view. If you are looking for a luxury barnstormer with precision handling, telepathic steering, and eye-catching looks, you'd best look elsewhere. If you prioritize ride comfort, easy-to-use infotainment, and excellent fuel economy, this is your ride. Speed freaks will have to wait for the S6 and (hopefully) RS6 to get their shot of Quattro adrenaline but for those who just want a quiet and comfortable commuter, the A6 will do just fine. I want to see if Audi can inject more passion into the S and RS versions of the car but for now, the A6 earns a score of Great Buy.